Here are five reader questions from the past week that I have decided to reply to publicly. You can always email me, leave a note or private message on Facebook, or Tweet me with your questions. Note that I can shorten the emails and edit them for clarity. I always remove the personal information of both the reader and front line employees. If there are managers involved, I may leave their names intact, however. Reader Questions: Visa On Arrival At Denpasar, IHG Rewards Club Platinum Status Match & Hilton Or Hyatt Status? Here are three reader questions from the past week that I have decided to reply to publicly. You can always email me, leave a note or private message on Facebook, or Tweet me with your questions. 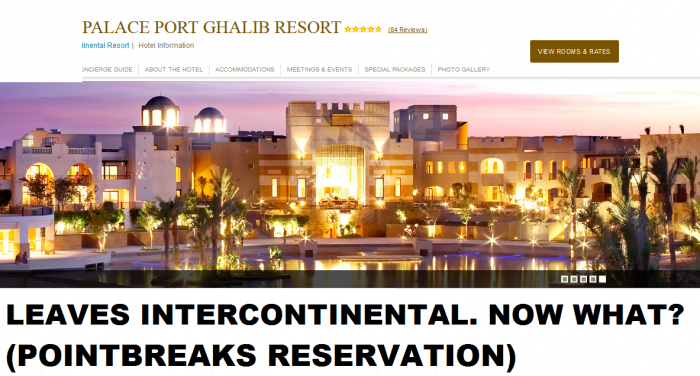 InterContinental Port Ghalib Resort Reflagged – What Happens To PointBreaks Reservations? Hotels join and leave any of the global chains continuously. All the chains have an “asset light” strategy meaning that they own very few hotels and rather just manage them. The result is that, if and when the owners are not satisfied with the performance, they might not renew the contract or throw out the current management overnight and take over the hotel or have it under another flag. 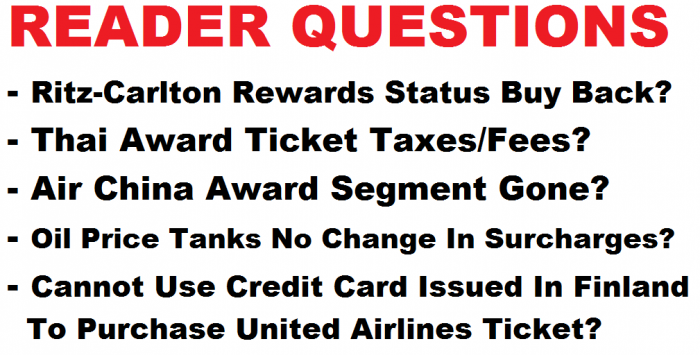 READER QUESTIONS: Emirates Delayed Bag, Use Of Hilton’s MVP Rate & Freeloading Wanker? READER QUESTIONS: Expedia Best Rate Guarantee Woes, What Program In Singapore & 2 Extra SPG Nights Worth Getting SNA’s? Here are three reader questions from the past week that I have decided to reply here publicly. You can always email me, leave a note or private message on Facebook, or Tweet me with your questions. Note that I can shorten the emails and edit them for clarity. I always remove the personal information of both the reader and front line employees. If there are managers involved, I may leave their names intact. 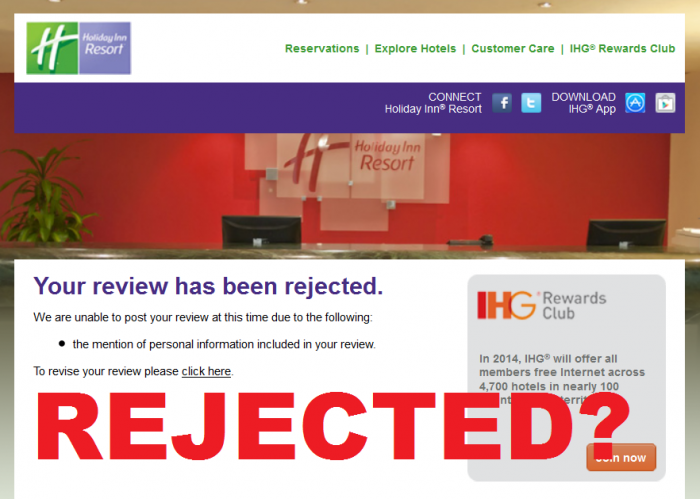 READER QUESTION: Rejected IHG Hotel Review? Many of the hotel chains are trying to get their members to leave reviews on their branded website instead of TripAdvisor.com. I would expect that the reviews left by loyalty program members and especially elite ones would overall be more positive than of those that book entirely based on the price using one of the OTA’s (Online Travel Agents). LoyaltyLobby readers tend to have excellent questions about loyalty programs and I try to answer as many as I can. You can send questions by email, Tweeting, leaving messages to the Facebook wall or use the Ask John. A LoyaltyLobby reader sent me a question regarding a situation that they have with a former Accor hotel (Mercure Krabi Deevana) that was reflagged on November 1. Most of the hotels affiliated with chains such as Accor, Hilton or IHG are not owned by them. These chains just have an affiliation agreement for few years after which the contract can be terminated.